Discussion in 'England - North' started by fubar andy, Jan 22, 2017. The 2017 Legend Fires North West Stages Rally is a 'Multi-Venue Tarmacadam Rally' which begins on the evening of Friday 24th February 2016 and finishes Saturday 25th February 2016. This is the seventeenth running of this highly popular rally which isa qualifying round of Northern Tarmacadam championship, The ANWCC Stage Rally Championship, The ANCC Rally Championship, The SD34 Rally and the Formula1000 Championships. The event is now recognised as one of the best opportunity for clubman rally crews to experience something similar to a tough European Rally, with central servicing, a non stop time schedule, thousands of spectators, night time stages, indoor overnight Parc Ferme, a cracking Social side, etc. This years event will include five separate venues giving a total of approximately 75 stage miles with a compact road route. I will be down for the Friday night sessions and all day Saturday. Same as last year, watching rallying, talking rubbish and pub lunch at some point. Also we also swindled our way on to the "non spectator" stages in the afternoon. If people are keen, we can always pop over later to watch some more of the rally without too much restrictions. I've also checked the entry list and there is OVER 100 CARS already entered!!! Post up if you are interested. I'll add meet up points later! As usual, pencil me in for Saturday. - It's usually a cracking day of rallying. Do we have any plans to meet at this event? I was just going to call Andy once I'd made it to Fleetwood. - I usually start at the waterfront special stages (5 & 6 IIRC). Do you have location and arrival time? Sorry been manic this week. Fleetwood Waterfront Spectator Stages. Demo vehicles followed by Car 1 flagged away by the Mayor of Wyre Followed by Competing Cars at 09:30. Isn't that the "Docks" stage Andy? I thought the cars weren't starting that until 9:45. Either way, I'll probably ring once I'm there. - If I don't find you, I'll probably find Channy (eating). Guys I am still aiming to get down but still having coolant issues which I am hoping to get sorted today now Doris has left. I am gonna have to duck out of this guys. Spent all day re-sealing water pump and it still seems to be leaking in that area. Sorry to hear it, but we'll be around all day. After careful consideration the senior members of the organising team have come to the conclusion that we will not organise the LFNWS in February 2018. As you are all aware The Road Traffic Act 1988 (Motor Racing) (England) Regulations became law on 10th April and initially we were hoping to be the first organisation to use the Act to include at least one closed road special stage on the LFNWS in the Borough of Wyre next February. However after the MSA published their organisers guidance notes in May of this year it quickly became apparent that it would be almost impossible to get everything in place to meet the deadlines within the legislation to run any Closed Road Stages in February 2018. It is felt that to put on another LFNWS similar to this year’s event, would commit too much time and without any new venues would be counterproductive to the future of the event. Thus we feel our time will be better spent trying to achieve the ultimate goal of some closed Road special stages for the 2019 event. We must stress that our intention is that the event will return as a bigger and better challenge in February 2019. On the upside that means everyone has a year to get their GTiR back on the road. This is great news for motorsport. 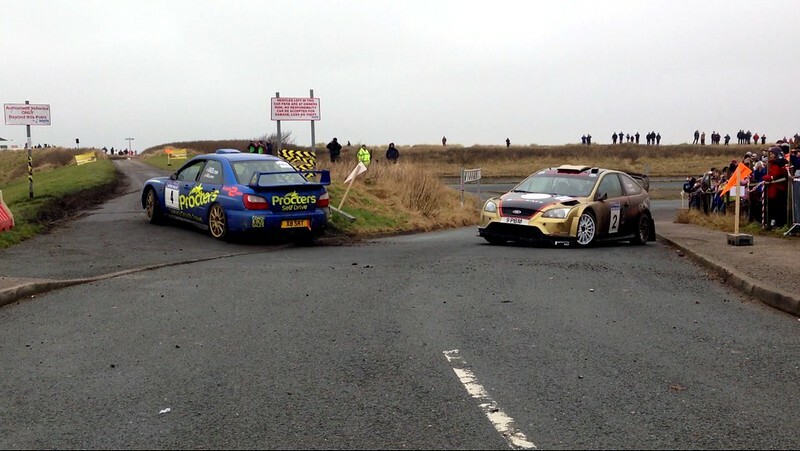 For many years we've not been allowed to have motorsport (racing) on public English roads. I work closely with the MSA (and FiA) and the regulations have changed to allow racing on public roads such as rallying and potentially circuit racing (such as BTCC racing on the street of Birmingham for example). The problem actually lies with the government and the road traffic acts (police). To even get to theses stages has been stupidity long and regulatory hill climb (no pun intended). 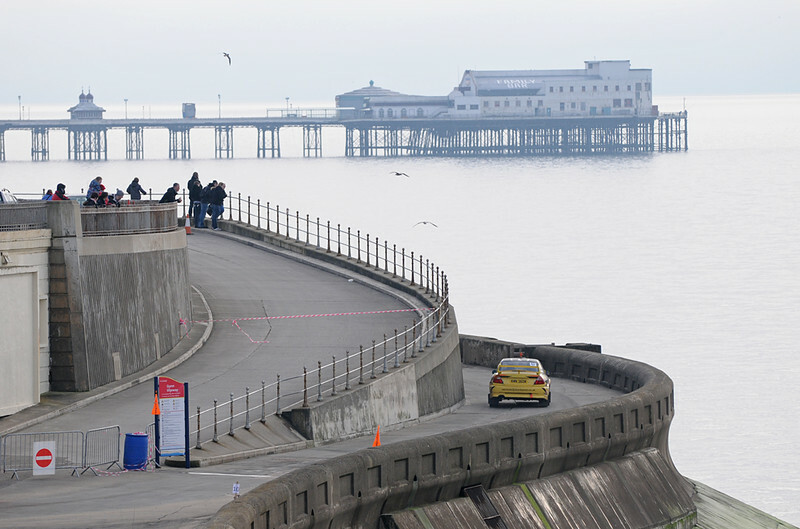 However we are now at the stages where event organised such as the Blackpool Rally can apply for permission to close roads to host rally stages on public roads. THIS IS FANTASTIC! Granted is needs to be approved and I'm guessing that the rally stages they want to submit will need to be authorised by councils and government officials. This will include disruption levels, safety for the public as well as drivers and officials. Sound impact to the local communities, damage limitation and damage to roads from such events and also environmental issues. Then you have what kind of postitives it will have such as tourism, exposure, promotion, taxation, sponsorships and potential tv coverage. So it might be a bit too late to have the rally stage for 2018, however 2019 with the right paperwork, presentations and positive feedback, this could lead to many more tarmac stages in the future; which would be awesome for rallying and even pave the way for a town or city to host a BTCC, World Endrance, Formula E or even F1 race on public roads. ...and I'm all about that! I have read /picked this up wrong. I thought even tho the regs had changed the post was meaning it's still almost impossible and so time consuming that it won't mean any or more events would not happen unless it was a massive event/organisation. So I believe that things have moved on a little. Does this mean regulation has been relaxed? Yep, finally the government have seen sense! There is a lot of paperwork to allow road racing events, but this should be the start of a number of street races in the future, unless the media make this out to be negative events or dangerous to the public!!! Maybe BTCC street race in Birmingham again? 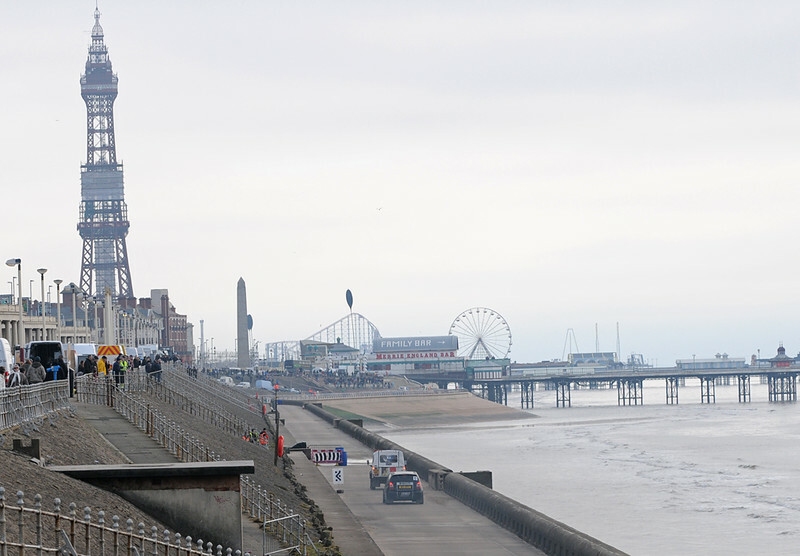 GREAT NEWS ABOUT THE BLACKPOOL RALLY NEXT YEAR! Following the change in the Road Traffic Act Legislation in 2017 the organisers took a year's sabbatical to concentrate on the vast amount of work needed to pursue the possibility of a number of Closed Road Special Stages for the 2019 event. They are now pleased to announce that a MSA permit has been issued which has allowed an application for a Motor Race Order to be submitted to the Local highways authority, Lancashire County Council. 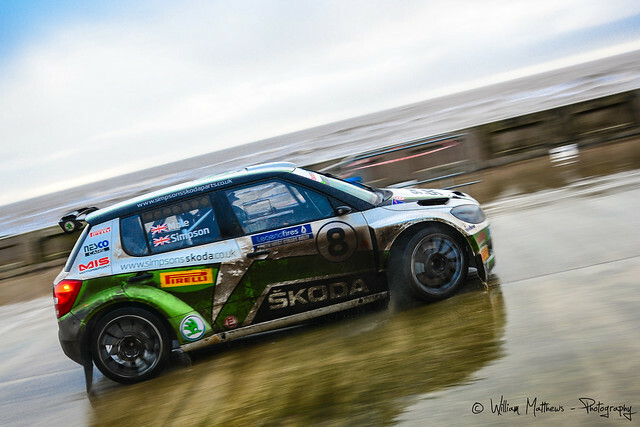 Motorsport North West have worked closely with Wyre Council for a number of years having run Special Stages on the Council owned Fleetwood Waterfront in the past, so it made sense to seek their support for Closed Road Special Stages. It was at the Councils request that the base of the event has been moved into their Borough. Accordingly Central Service & scrutineering will be located at the Myerscough College, which is well known for their Motorsport Courses. Moving the base East still allows some of the traditional Area to be used, but opens up other possible options in the Lancashire Fells. A tremendous amount of work has already been done and there are still numerous hurdles to overcome, but subject to securing the Motor Race Order, it is planned to use a combination of Closed Public Roads and Private venues for the Special Stages, giving approx 50 stage miles in total.